The management of server accounts is changing dramatically. Historically, server account management was done manually. There were a number of reasons for this, but it didn’t need to be automated or require a system. Today, servers are a core part of the IT infrastructure with many times more servers than endpoints in an organization. As a result, automated server account management has become more critical than ever. There are a number of reasons why IT organizations are paying more attention to their identity management platform – especially as it relates to their server infrastructure. A couple of decades ago, servers were generally located on-prem with the organization itself, or they were located in a data center. Either way, they were very close and had physical access to the machines, and if not physical it would have direct logical access via a VPN. This enabled IT organizations to treat servers as essentially an extension of their internal network. If they happened to use Microsoft Windows servers, the process was even easier because they could leverage Microsoft Active Directory® to control identities. If they were using Unix or Linux, then the task was largely manual. If they were reasonably forward thinking, they might have OpenLDAP™. 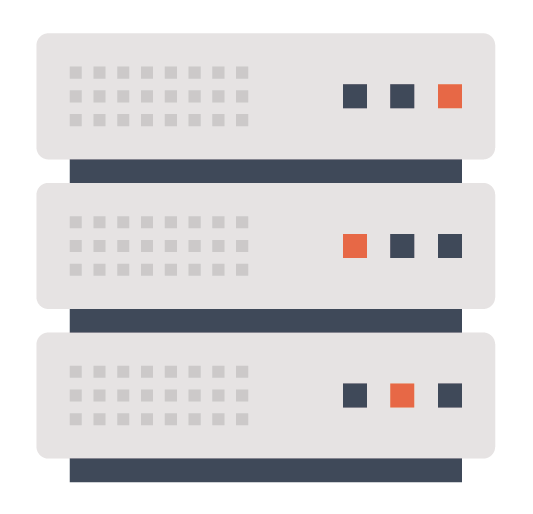 A critical reason that server account management is important today is that many organizations rely on their server infrastructure for their business. They generate revenue from their servers, or may even house their product or service on their servers. Whatever the case, their IT admins need to be able to easily and quickly address any issues that arise on their servers. Having seamless access is essential – especially when any downtime or problems could result in a loss of revenue. Another major reason that IT organizations are pushing to control user access to their server infrastructure is identity theft. More than ever, identities are the conduit to a compromise. Loose or lax user account management procedures can easily result in a compromise of one of the most critical parts of an organization’s entire infrastructure. Manual user management, or even leveraging on-prem solutions such as Microsoft AD or OpenLDAP, aren’t going to cut it in an environment that is changing rapidly. On-prem servers are giving way to cloud servers hosted at providers like AWS or Google Cloud. 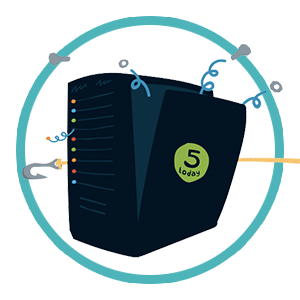 Getting that same seamless access to servers when they are hosted at third party providers is far more challenging. While AD could work within the network, making it work across networks is much more difficult, time consuming, and risky from a security perspective. Plus, for IT to manage two separate identity management platforms is far less than ideal. Server account management in the cloud era grants IT organizations an opportunity to take a significant step towards managing identities in the modern era. Rather than leveraging an on-prem identity management platform, modern IT organizations are turning to cloud identity management. Called Directory-as-a-Service®, this approach to server account management integrates a user’s identity across their servers (cloud or on-prem), systems (Mac, Windows, Linux), web or on-prem applications, and networks (wired or WiFi). The benefit to an integrated identity management system for both on-prem and cloud situations is increased security, more efficient management, and less frustration and friction for end users. Directory-as-a-Service integrates with third party IaaS players such as AWS or Google Cloud, while also working seamlessly with on-prem servers and data centers. 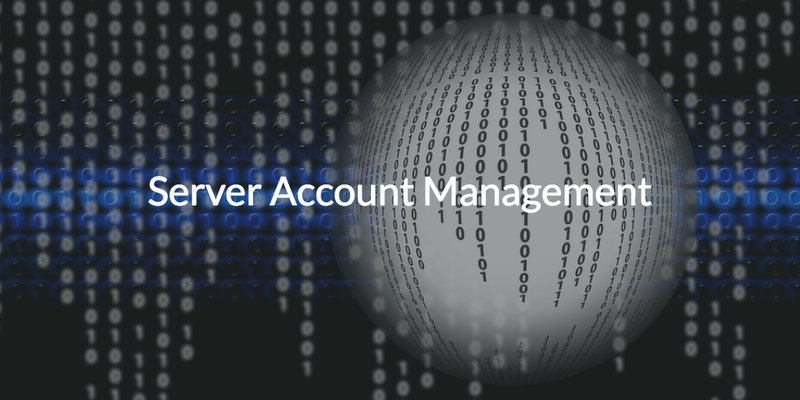 Server account management is one of the most important items that IT can focus on, but integrating that into the core of your IT management tool chain can be tricky when thinking about cloud servers. Give Directory-as-a-Service a try and see how you can have one cloud identity management platform for your entire IT infrastructure. Your first 10 users are free forever. Alternatively, if you have any questions about how server account management works in the cloud or our cloud based directory, reach out to us. We’d be happy to answer any questions.